Please fill in the Registration form OR call us immediately. One of our staff members will contact you with further information of how to proceed within 24 hours. You do not need to pay any admission fee. After the trial period is over, you will be required to pay for selected course. We have highly motivated and well trained team of tutors working under the supervision of qualified, skilled and experienced manager. Call us or fill in the Registration form .We will send to you information to make a setup to start classes . After completion of registration and software installation process , you will be tailored with a well- versed Quran tutor for one-to-one live interactive classes. After you have joined Alquranlearningacademy.com, at an agreed time your classes will be commenced using telephony and screen sharing software. 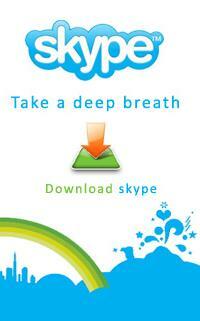 We use Skype ,a quality internet telephony software ,for voice conversation. At the start of class you will be provided with screen sharing software which will enable you to see the lessons on your monitor. *We reserve the right to modify refund policies of Service from time to time without notice. Please keep yourself updated about any changes. AlQuran Learning Academy is committed to ensuring that your privacy is protected. Should we ask you to provide certain information by which you can be identified when using this website, then you can be assured that it will only be used in accordance with this privacy statement. AlQuran Learning Academy may change this policy from time to time by updating this page. You should check this page from time to time to ensure that you are happy with any changes. Should you have more questions, do not hesitate to contact us. Our Customer Service Department will be more then happy to assist you.